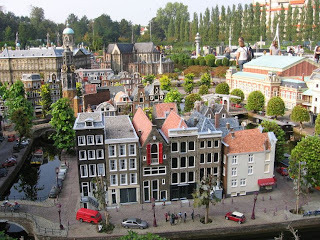 Madurodam is located just a few hours' drive from Amsterdam. Canal houses, fields of tulips, cheese markets, windmills, Peace Palave, Deltawork, and other places in the Netherlands can be found in one area at Madurodam. Many things that you can see, explore and do while in the park. Madurodam also tell you the stories behind each of the miniature buildings and the history of the Netherlands through multimedia facilities. When this concept is also more interactive Madurodam enable visitors interact directly, such as its own operating Oosterschelde storm surge barrier. Madurodam is now divided into three theme areas of the City Centre, Water World, and Innovation Island. You will find most beautiful buildings of the old town of Holland in the City Centre. While at present the story of water Waterlands as friends and enemies. In the area Innovetion Island represent the Netherlands as a source of inspiration to the world in terms of architecture, innovation, sports, entertainment and design. 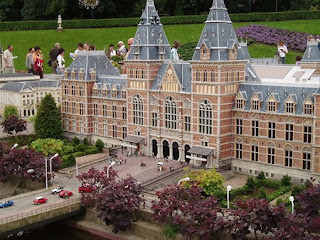 When you want to shop for typical Dutch, Madurodam also has souvenir shops. Meanwhile, when visitors want to order the specialty of the Dutch could come to Gran Cafe or restaurant in the area of ​​Madurodam.